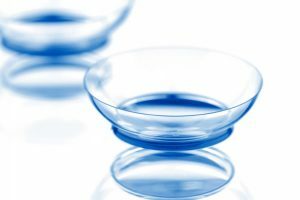 If you’re in the market for a new contact lens, you’re going to be faced with two primary options: hard lenses and soft lenses. Now, there are noticeable differences between the two. For one, hard lenses are smaller than the soft alternative and fit over the pupil. Soft lenses have a larger diameter and cover the entire eye. This article will discuss whether soft lenses are right for you and whether you should purchase them. Soft lenses, as stated before, cover more of the eye than hard lenses. Because of this, dust and other small particles have a more difficult time sneaking into the pupil, causing irritation and even pain in some cases. Additionally, hard lenses can also fall out relatively easily if you’re playing sports are participating in a fast-moving environment. For these types of activities, soft lenses are preferred. Because hard contact lenses are almost similar to having glasses within your eyes, they require more maintenance than soft lenses. They aren’t thrown away after two week but are cleaned thoroughly with a special cleaning solution, followed by storing them in a safe, bacteria-free environment. Soft lenses follow a similar pattern but do not need to be cleaned with a solution that is specifically designed for hard lenses. Rather, they’re simply pinched with clean hands and sanitized with a soft lens solution that you can find at your local drug store. Be sure to consult with your optometrist beforehand to see what benefits both lenses can offer before you commit to one. This way, you’ll have a better understanding of what fits your lifestyle the best.